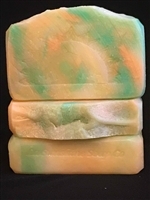 This soap has a sweet, slightly fruity scent of bananas mixed with southern magnolia. It is inspired by a type of shrub commonly known as the Banana Shrub that grows in the south (Magnolia Figo). 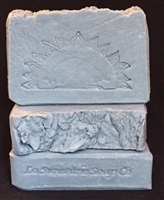 This soap is scented with a blend of Italian bergamot, Sicilian lemon and southern orange winds down with green tea leaves, star jasmine, amber crystals and the perfect amount of light musk. Tussah silk added for luxurious lather. 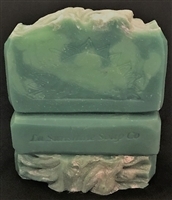 A lightly scented Coconut Cream Soap. This soap has a very creamy lather that's more luxurious because of the coconut cream and coconut milk in it. 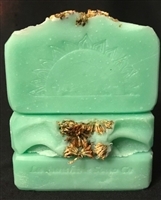 This soap has a fresh, exhilarating, minty clean scent of eucalyptus and spearmint**.